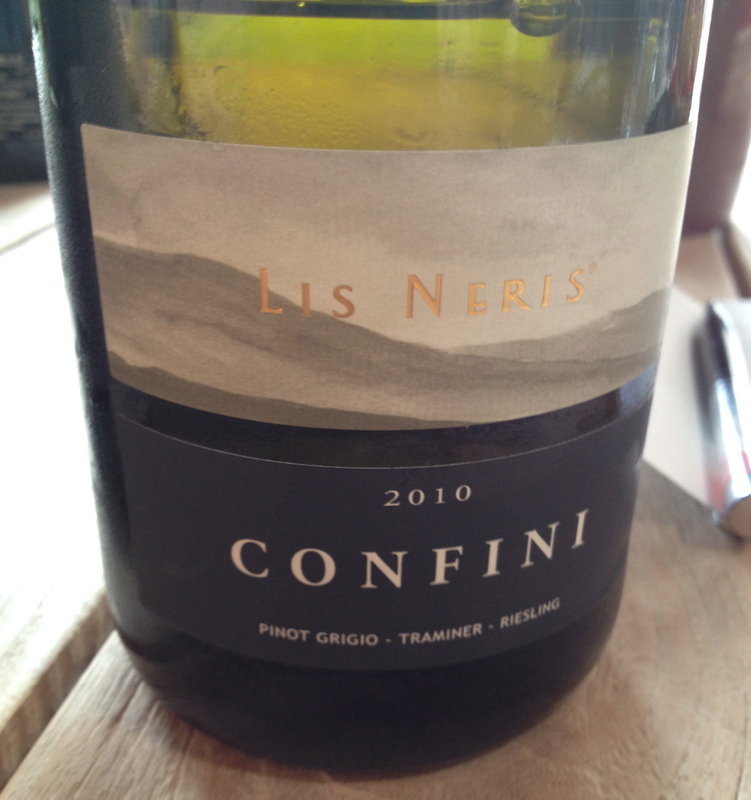 After judging the Pinot Grigio Challenge in Cormons, in Friuli, I visited the Lis Neris winery in San Lorenzo about 20 minutes away. The winery is in the Isonzo sub zone close to the Slovenian border. 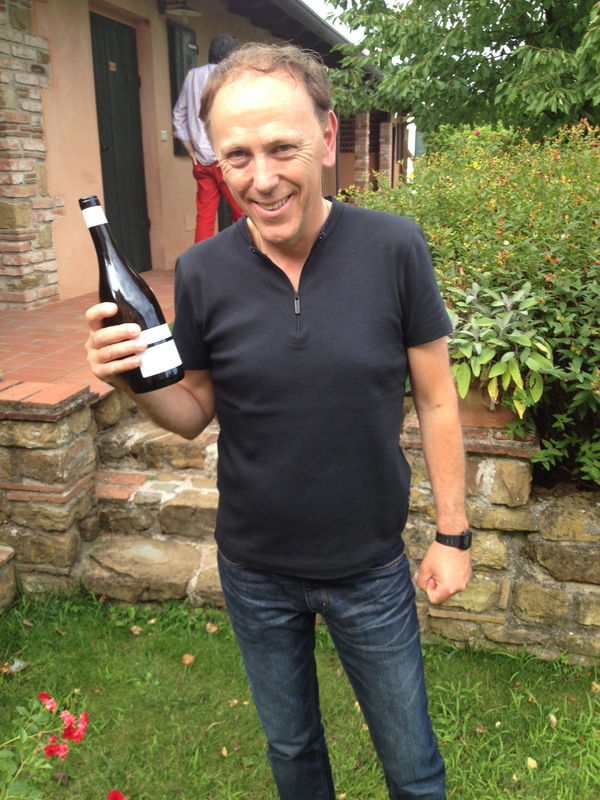 The owner Alvaro Pecorari who began by speaking about the winery greeted me. Alvaro said that it is a family winery and the family controls all of the production process. There are 70 hectares of vineyards planted between the Slovenian border to the north and the right bank of the Isonzo River to the south. Wines are produced exclusively with grapes from their own vineyards. They have introduced biological treatments against vine pests and avoid the use of chemical weed killers. The winery is energy autonomous, with solar panels, which collect and transforms solar power. 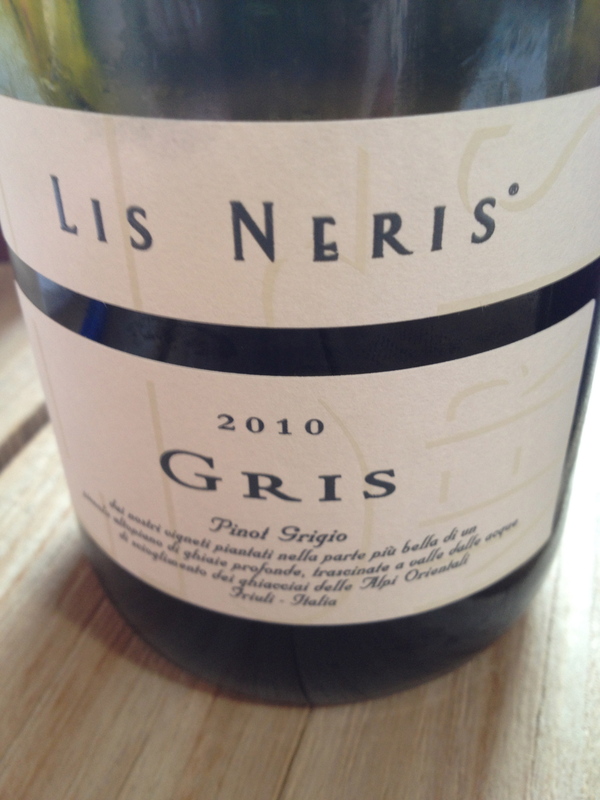 The Wines of Lis Neris– They have different lines of wine Traditional, Selezioni and Riserva. 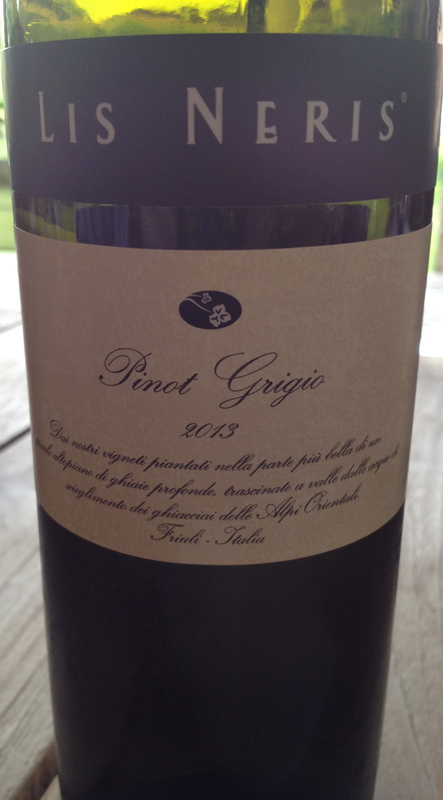 Pinot Grigio 2013 100 % Pinot Grigio this is from the Traditional line where the grapes are from the younger vineyards. The training system is guyot and there are 5,200 to 5,600 vines per hectare. Fermentation takes place in stainless steel takes at a controlled temperature. Maturation is on the fine less in the same tanks for 8 months with frequent stirring of the lees. The wine remains in the bottle a short time before release. This is a fresh fruity wine with aromas and flavors of critics’ fruit, hints of apple and good acidity. I also had this wine with food at one of the best restaurants in the area La Subida and it is an excellent food wine. Confini 2010 Venezia- Gulia IGT made from 40% Gewürztraminer, 40 %Pinot Grigio and 20% Riesling from 25 year old vines. This is from the Riserva line, the grapes come from the older vineyards. Fermentation takes place in 500 liter French oak barrels and maceration is on the fine lees in the same barrels for 11 months with frequent bàtonnage. The wine is aged another 12 months in bottle before release. He said that the Pinot Grigio constitutes the skeleton of the wine, giving it structure a full bodied frame, softness and warmness. Traminer is important for aromas and perfumes and Riesling for the right acidity and complexity of taste. Only Pinot Grigio and Traminer are late harvested and matured in wood. 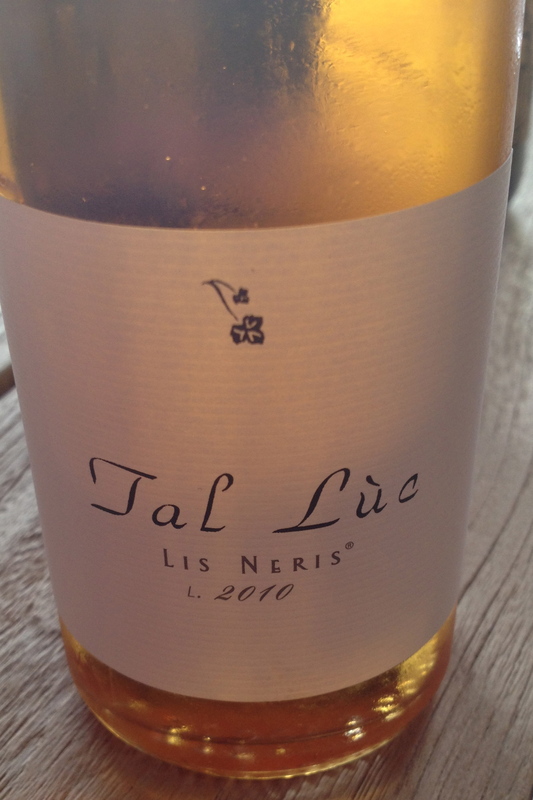 Tal Luc 2010 made from 95% Verduzzo and 5% Riesling. The vines are 10 years old, the training system is guyot and there are 5,200 vines per hectare. After the harvest the grapes are dried for 120 days in an air-conditioned environment. Long fermentation takes place in new 225 liter French oak barrels. The wine remains in the bottle for 12 months before release. Alvero said that the wine could age for 15 years. It is in the Riserva line” This is an excellent dessert wine and I really enjoyed tasting it. I also had the pleasure of drinking the=is wine at restaurant La Subida the night before.